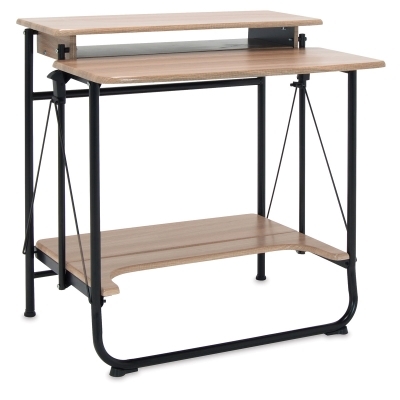 The Studio Designs Stow Away Desk is an easy, attractive solution whenever you need some extra workspace. 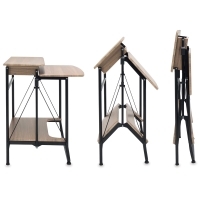 And when you're done, the desk folds away in just one step. It's ready to use straight from the box — no assembly required. When opened, the desk's side levers lock the desk in place. 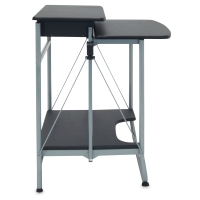 To fold the desk, simply pull the two levers. It only takes a few seconds. 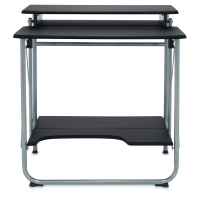 The desk features a powder-coated metal frame for durability and rubber feet to prevent scratching. 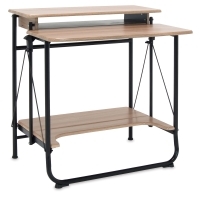 The raised shelf is perfect for a computer monitor. The Stow Away Desk is available in two finishes — Black/Silver or Driftwood/Black — and is backed by a 10-year manufacturer's warranty. 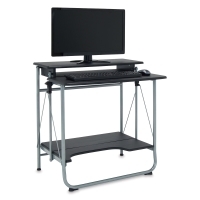 It measures 30"H × 27½"W × 23½"D overall. For more measurement details, please see the Item Specs tab. Packaging includes a handle for easy transport.